Today is the final day to nominate your favorite animal shelter/ rescue/ organization for a chance to win a $100 donation from Quantum Canines. My herd of doggies will be drawing the winning entry tonight before they cuddle up in our wall-to-wall bed and go to sleep (11ish PDT). Then I'll post the winner and get a check in the mail to the animal organization that is selected! Like many others, I see the irony in my home state of Oregon ablaze with wild fires and Texas areas around the Gulf Coast inundated with rain from Hurricane Harvey. A number of Oregon animal-related organizations are in the drawing for a chance to win $100 donation for the invaluable work they do to help animals. I am touched by the photos and video coming out of the Houston, Texas area and pleased to see the efforts to make sure pets are safe seems much more organized than in previous disasters. Here's what the web site of the SPCA of Texas <https://www.spca.org/news_hurricane-harvey> said. "The SPCA of Texas is prepared to intake up to 300 animals affected by Hurricane Harvey if needed, and will evaluate capacity on a daily basis after that. This transfer frees up space in animal shelter facilities to make more room for animals displaced by Hurricane Harvey." In sympathy and support of this area, I am adding the SPCA of Texas <https://www.spca.org/news_hurricane-harvey> to my list of organizations in the running for a $100 donation. Ani-Care Animal Shelter <https://www.ani-care.com/home.html> in Ontario, Oregon came to my attention with a news article in the Malheur Enterprise newspaper that the shelter had taken on 37 dogs removed from a hoarding situation, including a pregnant dog who gave birth to six puppies while at a vet clinic. After another shelter refused to take the dogs unless the owners gave up ownership, the sheriff's department contacted Ani-Care, who immediately agree. The dogs won't be available for adoption until ownership is legally determined. Until then, the shelter is looking for donations to help care for these dogs. So Ani-Care Animal Shelter goes in the doggie dish for a chance to win a $100 donation from Quantum Canines. I first became aware of Everett (Washington) Animal Shelter <https://everettwa.gov/148/Animal-Shelter> when I was looking for Trouble. That was the name of a senior dog who found himself at the shelter when his owners could no longer care for him. Since I received the gift of communicating with animals, I've learned their names are very important to them, and I contacted the shelter to express my concern that the name, "Trouble," might be a detriment to this dog. They responded quickly with the explanation this boy had been through enough upheaval and didn't want to add a name change to that. I was impressed with their professionalism and obvious concern for this dog. With that in mind, Everett Animal Shelter goes in the doggie bowl for a chance to win a $100 donation from Quantum Canines. National Dog Day is today, August 26, 2017! The web site <http://www.nationaldogday.com> of this holiday states this day "celebrates all breeds, pure and mixed and serves to help galvanize the public to recognize the number of dogs that need to be rescued each year, either from public shelters, rescues and pure breed rescues. National Dog Day honors family dogs and dogs that work selflessly to save lives, keep us safe and bring comfort. Dogs put their lives on the line every day - for their law enforcement partner, for their blind companion, for the disabled, for our freedom and safety by detecting bombs and drugs and pulling victims of tragedy from wreckage." I can certainly join in celebrating dogs of all breeds and sizes! National Dog day is also debuting a new short film, "Beneath the Fur," on August 26th. 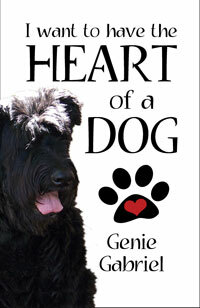 If you love dogs, check this out! The vision of Greenhill Humane Society, SPCA (Eugene, Oregon) <http://www.green-hill.org> is "a community in which all companion animals have loving homes and are treated with compassion and respect." 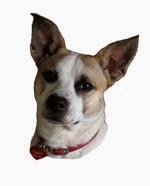 I was delighted when I discovered the connection of a high school friend to Greenhill Humane Society, and began following posts shared on social media of pets available for adoption. A visit to Greenhill's web site revealed many of the same services offered by the humane society in my city: no time limit on how long an animal can stay at the shelter; a cadre of volunteers to help staff exercise, play with and love the animals; foster care; spay/neuter programs; partnerships with other shelters and rescue groups to find permanent homes for pets; community connections for special fundraising events, off-site adoptions; medical rehab and behavior programs; and much more. Greenhill also operates 1st Avenue Shelter in Eugene. For the past 7 years, Greenhill has successfully saved approximately 90 percent or more of the animals who came into their care. I'm impressed by their services and, of course, have fallen in love with many of the animal faces I've seen on their web site. So the name of this shelter goes into the doggie bowl for a chance to win a $100 donation from Quantum Canines. Hope to connect with some of you at one of these places! I so much appreciate these fellow authors taking the time and effort to support the release of my latest book, MORE THAN JUST A DOG! This article from Dr. Dennis Thomas talks about pet health insurance and beyond...touching on practical, preventative ways to improve your pet's health and/or keep your pet healthy. Many thanks to authors Nickie Fleming and Courtney Rene for hosting me. Stop by and say hello if you have time for a chance to win a free digital copy of this latest book! SAVE THEM ALL--This call to action of Best Friends Sanctuary of Utah pretty much says it all for me. Some people would say this is an impossible dream. "Is the goal to Save Them All realistic? Absolutely. When Best Friends was founded in 1984, some 17 million animals died every year in our nation’s shelters. Today, that number is down to about two million. We believe that by working together, we can reduce that number to zero [by 2025]. For more than 30 years, Best Friends has been working to end the killing by running innovative grassroots programs, supporting spay/neuter and trap-neuter-return (TNR) programs, promoting shelter adoptions, fighting puppy mills and breed-discriminatory laws, educating the public about animal issues, holding major adoption events, and conducting both large- and small-scale animal rescues. Best Friends also leads the No More Homeless Pets Network, which brings together more than 1,900 animal welfare organizations across the country to help save as many lives as possible. Together, we won’t stop until we Save Them All." Angel Canyon, located in Kanab, Utah, is the home of Best Friends Animal Sanctuary and nearly 1,600 homeless animals. Their web site is <https://bestfriends.org>. BrightHaven is a holistic animal sanctuary, hospice, rescue and education center focusing on senior and special needs animals, which was founded in 1990 by Richard and Gail Pope. I heard about Brighthaven from my Animal Reiki teacher, who conducts many classes there. When I started thinking of setting up my own sanctuary, I contacted Gail Pope and was immediately impressed by her graciousness and knowledge. BrightHaven is located in Santa Rosa in beautiful Northern California, north of San Francisco. Please check out their web site <http://www.brighthaven.org> if you would like to know more about them. Brighthaven does so much of what I want to do with a sanctuary, earning this organization a place in the doggie bowl for a chance to win a $100 donation from Quantum Canines. this blog naming that organization. The drawing will be held on August 31. My first contact with the amazing Dr. Arlene Brooks was when I was working at Willamette Humane Society and also fostering dogs. My second foster was a one-year-old Jack Russell Terrier/Pitbull mix who needed a place to recuperate from a broken leg. I didn't realize the extent of the surgery until I took Batman back for his five-week check-up. A piece of the femur bone had been broken off at the top, so Dr. B had removed that chip of bone and fashioned the cartilage into a new joint. The bone had started to calcify, so she figured his leg had been broken for months before he was picked up as a stray. He was surgery #9 of the hundreds of procedures she has since done for animal rescues and shelters. I adopted Batman, who fully recovered and went on to many misadventures. He's now eleven and a half years old, and has slowed down some, but I will always be grateful to Dr. Brooks for giving Batman another chance at a full life. I later learned from a friend that Dr. B had formed Homestead Veterinary Clinic Last Chance Club (HVC-LCC) to bring vet medical care to as many cases as possible by using “rescue costs” and donated free veterinary services. Their Facebook page is <https://www.facebook.com/HVC-The-Last-Chance-Club>. HVC-LCC goes in the bowl as another animal-related organization that could win a $100 donation from me at the end of August in a random drawing by my dogs. for a chance to win $100 donation in a drawing on August 31. 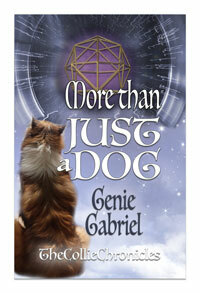 My latest book, More Than Just a Dog, is available! 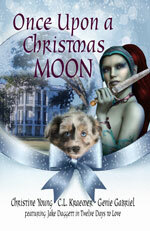 With a Collie, star gates, and a shotgun-toting mother, I had great fun writing More Than Just a Dog. The digital version is at the special introductory price of 99 cents; the print version is $4.99 <http://tinyurl.com/CollieChronicles>. 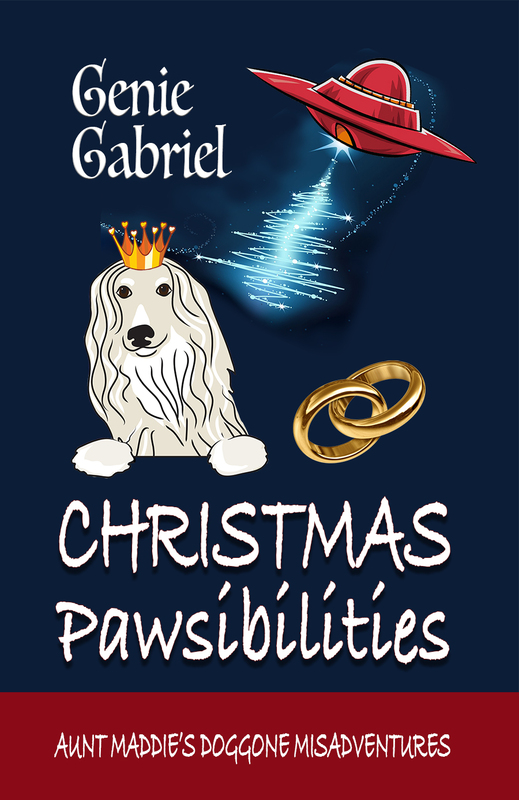 I have a blog tour coming up next week featuring freebies and special appearances with my beautiful Tucker, the Collie featured on the cover of this book. Will post those blog sites each day. The first animal shelter I'm spotlighting this month is Willamette Humane Society <https://whs4pets.org> in Salem, Oregon. I've volunteered for WHS, fostered dogs, worked for them, and adopted a number of dogs from this shelter. Guess it's pretty obvious why a piece of my heart still belongs to Willamette Humane Society. 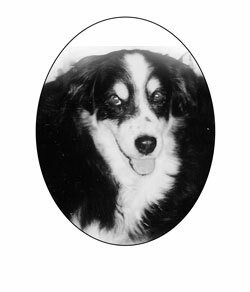 Ace was my first shelter dog, way back before WHS built their new building. With one look into the golden eyes of this Border Collie mix, I knew he was smarter than most humans. But he was hungry! We had a package of graham crackers on the dashboard of the car the day we adopted him. Those were gone in less than a minute. For the next thirteen years he lived with us, he continued his passion for food, and showed me without a doubt that some of the best dogs come from the shelter. So Willamette Humane Society goes in the bowl as one of the animal shelters/rescues/organizations that could win a $100 donation from me at the end of August in a random drawing by my dogs. No matter your reaction to them, you probably know when your birthday is. But most shelter dogs don't show up with a birth certificate. So the North Shore Animal League America declared August 1 as a birthday for all the shelter animals whose birthdays are unknown. 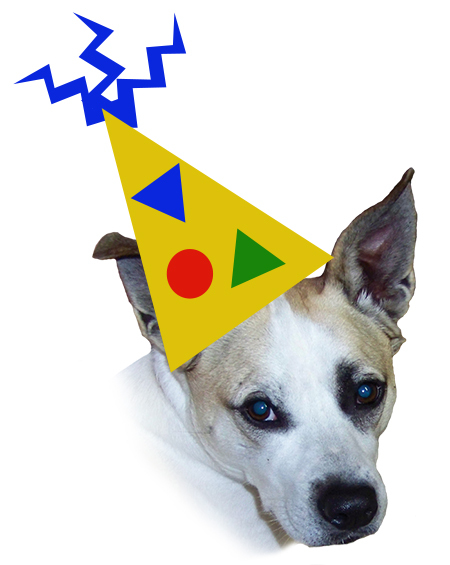 I want to expand on this celebration of shelter dogs and the release of my upcoming book on August 15. So throughout the month of August, I'll be spotlighting positive things done by animal shelters/ rescues/ organizations on this blog. I'll feature several of my own favorites, but I want to hear about your favorite animal-related organization too! If you want your favorite animal shelter/rescue/organization spotlighted and considered for a donation, please add that name to the comments along with its city and state, and your personal experience or contact with that organization. If you'd rather send that info to me privately, please let me know so we can connect.